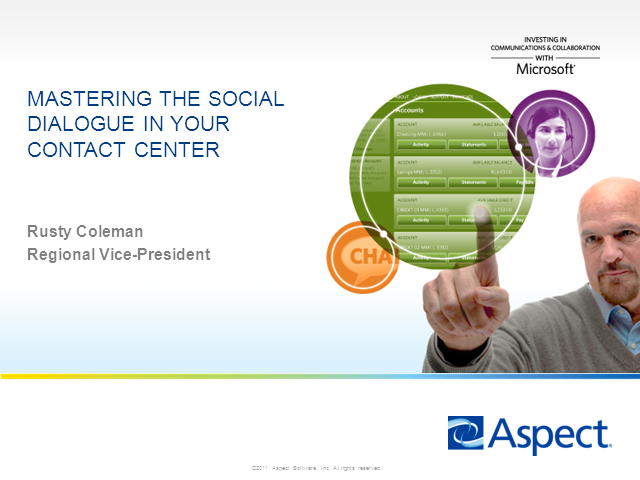 Join Rusty Coleman as he takes a closer look at customer empowerment. New technologies like smartphones combined with the advent of social media have created a new consumer—we call them Consumer 2.0 -- that takes for granted immediate access to both people and information anytime, anywhere. And they expect that same level of access, on their terms, to companies with which they do business. The want choice in how to connect – web, phone, IM – and a consistent experience across those channels. If a company falls short in delivering on that score, there are plenty of outlets for consumers to voice their dissatisfaction to the world and they are not shy about doing it.